Silpi ‘lived’ in temples; he used to wait till all the devotees leave after their darshan; late in the night he would look in to the deity and bring out extremely amazing depth and exquisite texture of every sculpture using whatever dim light available. 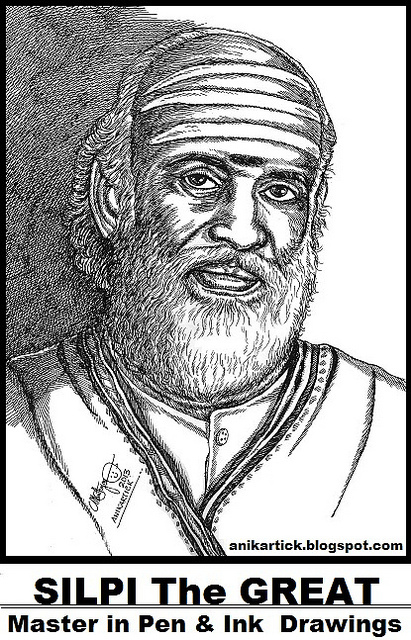 The master artist behind the pen name ‘Silpi’ was P.M.Srinivasan (1919-1983); he was born in Namakkal, Tamil Nadu. He was adept at sketching from his young age. He was named Silpi (meaning sculptor) and commissioned to sketch temple sculptures by Maali, an illustrator in a popular magazine. After completing every work of his, Silpi would take them to the sage of Kanchi (Maha Swami) for blessing and then bring them home. (The Maha Swami, in fact, had advised Silpi to take temple scenes to the doorsteps of devout public using his position in the popular magazines). 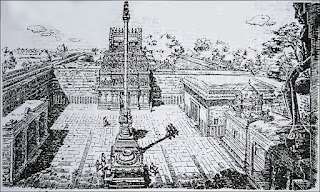 Silpi’s illustrations enhanced the pages of Bhavans Journal and several Tamil magazines, showcasing the beauty of South Indian temple sculpture. For many years, Slipi never presented a descendant to his art. However, once 15-year-old Giridharan visited Silpi with his sketches along with his father. Silpi was mesmerised by flash in the nimble fingures of the lad. Silpi named him Padma-vasaan which is a part of his and his wife’s name and took him as his art descendent. Though the Centenary of the dedicated artist Silpi went by un noticed (on January 19), the art lives across generations – true to the Hindu tradition of Guru – Shishya. A Southern Edition Of The ‘Tukde Tukde’ Gang? 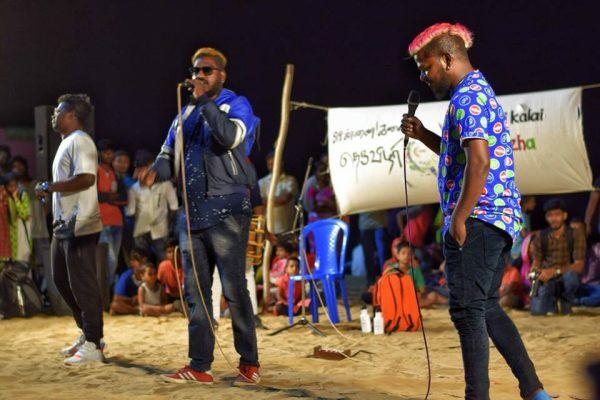 Chennai Police halted a music band performance held as part of "Chennai Kalai TheruVizha" (Folk Arts fest) on January 27 at Chennai Elliots beach, because the lyrics contained derogatory references to Prime Minister Modi. The band called "The Casteless Collective" is spearheaded by Neelam Cultural Centre of Director Pa.Ranjith formed in January 2018. Performances by the Centre are touted as Socio-Political. “Making people more politically aware of the situation and who they are in the caste system”, is its professed purpose. Its modus operandi is to rope in unsuspecting genuine folk art troupes in the name of Folk Arts fest and collect masses around -- and then spew anti Hindu anti patriotic venom. Clearly it is a southern edition of ‘tukde tukde’gang and its worst fall out is marginal ripples for now. Spiritual Spots To Be Targeted For Revenue Raking? In the recent Global Investors’ Meet in Chennai last week, a call was made to woo investors in the spiritual avenues of Tamil Nadu as well. The Kumbh Mela being held in Prayagraj has been an eye-opener for other states, particularly in the matter of over 2 lakh crore revenue that it is projected to achieve. All the facilities and amenities in Kumbh are arranged by private sector. Tamilnadu, rich in unique pilgrimage sites, can definitely attract more tourists to such spots, in turn earning sizeable revenue for the state. Tourist agencies will only be too happy to bankroll the eventual tourist surge. 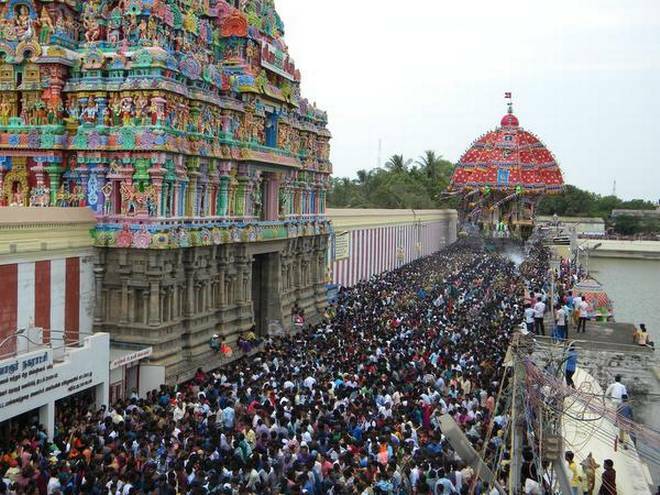 T.K.Ramachandran, who was HR&CE Secretary till recently was the person who gave the call: “Foreign tourists who come here are in search of spiritual experience; so, we are in the age of spiritual tourism.” He recalled how he happened to meet a couple from Malaysia, who were visiting the ‘arupadai veedu’ of Lord Muruga (six abodes of Karthikeya in the state) in the order they were supposed to follow. His presentation: Some of the oldest temples in India are located in Tamil Nadu. 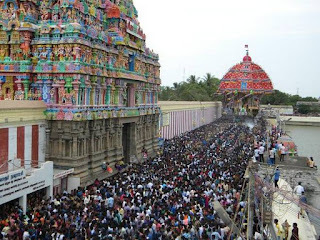 For example, the Srirangam temple is located on 700 acres where one or other kind of festival is going for 300 days in a year. 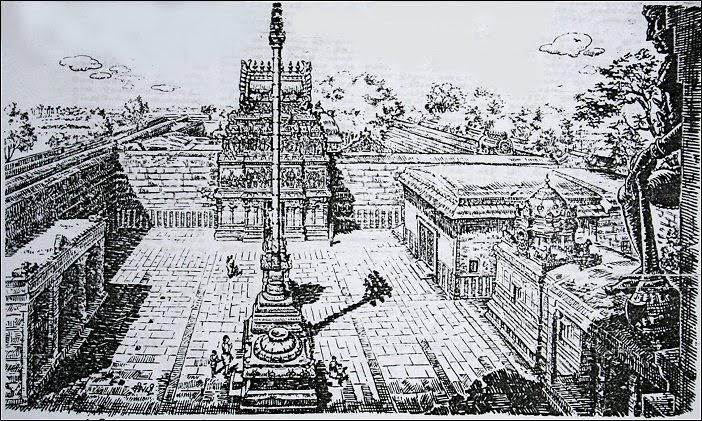 Add to this the 11th century Brihadeeswara temple in Thanjavur, Gangaikonda Cholapuram temple, Mahabalipuram sculptures, Madurai Meenakshi Amman temple etc. So, the spectrum for investment in spiritual tourism is so wide in Tamil Nadu. Let us hope the eternal spiritual eco system around the targeted tourist spots are left untouched in the revenue raking exercise.